When you are looking for ‘where to sell jewellery in London?’ or ‘sell jewellery near me’, you will get many choices like independent high street jewellers or online buyers, but you may end up selling for less than its best possible value. If you want to sell your jewellery for cash, all we want you to do is bring in your item to us at The Luxury Hut and get it appraised. With more than 40 years of combined experience in buying jewellery, The Luxury Hut is committed to providing the best possible price to customers who want to get cash for jewellery. We pride ourselves on our proficiency in high-end jewellery items like old cut diamond rings, gold as well as loose diamonds of all cuts, sizes and colours. Here at The Luxury Hut, we buy all kinds of jewellery, from exquisitely designed engagement rings, necklaces, earrings, pendants to classic diamond studs and also, contemporary brilliant cut diamond rings. You can decide to ‘sell jewellery’ to The Luxury Hut both online and via appointment. We buy second hand jewellery of every style and shape and lend cash for jewellery assessing each item individually with utmost care and precision based on the current market prices. When you sell jewellery for cash to The Luxury Hut, you can rest assured to obtain the maximum price possible for your asset based on its latest market value. However, the price of a jewellery item depends on many other factors and characteristics. Jewellery is a style-driven industry. While some jewellery styles are classic that stay around for years or decades, others may last only a few months. However, jewellery can be antique and such items are highly coveted. Condition plays a significant role in determining the price that you will receive when you sell used jewellery. In many instances, broken or damaged jewellery may justify the cost of restoration. But, damaged jewellery items are valued only at its innate price most of the time. Our team of jewellery experts has years of experience and comprehensive knowledge in the second hand jewellery trade. At The Luxury Hut, we assess every jewellery item on its merits, offering our customers an accurate valuation and eventually, the highest possible amount of cash for jewellery. The Luxury Hut is always happy to look at any pre-owned jewellery that you want to sell for any reason. With many years of experience in dealing with every kind of vintage, modern and branded jewellery, we believe that we provide our customers with the most accurate value for their jewellery. For those who want to sell unwanted jewellery for cash, The Luxury Hut is the best place to sell jewellery in London with confidence. Whether you are looking for ‘sell gold jewellery’, ‘sell diamond ring’, ‘cash for diamonds’ or ‘cash for jewellery near me’, our expertise and knowledge ensure to maximise the return you will obtain for your jewellery item. At The Luxury Hut, we always work to make the process of selling easy and straightforward, providing you with the most competitive and fairest price possible for your jewellery. If you are looking for the best way to ‘sell my jewellery ’, ‘sell engagement ring in London’ or get cash for jewellery right away, bring in your valuables to our team of experts. We will look at your items precisely and take into account its weight, shape, condition, colour, age and also assess the precious metal like platinum or gold with which it comes. You can also fill up our online form, providing all of the known details of your jewellery. The more information you can give us when selling your used jewellery, the better. We will offer you an initial valuation shortly after, based on the details you provided and the current market value. If you are satisfied with our assessment, bring in your valuable or send it to us at our office for a more accurate evaluation. We will pay you in cash or via your preferred method of payment. The Luxury Hut is one of the few companies that purchase certified as well as non-certified jewellery items of any condition, clarity or colour. Exquisite jewellery items like engagement rings, wedding rings and diamond rings come in various shapes and sizes and also may be accompanied by Gemological Laboratories’ certificates like the GIA, IGI or EGL. If your jewellery item has a certificate, it becomes easier for us to render a more accurate valuation of your precious asset, as our team of experts verifies most of the information. We, at The Luxury Hut also buy non-certified jewellery. The Luxury Hut is one of the few companies in the world that buys all diamonds of any quality or colour, regardless of condition. Whether you are searching online ‘sell jewellery near me’, ‘Sell my jewellery online’ or ‘sell jewellery London’, The Luxury Hut will always be the best place to sell second hand jewellery in London, be it is online or via appointment. Sell jewellery online from anywhere in the UK and Europe through a fully secure, reliable and special delivery envelope that we may provide or arrange for courier collection if your item is large or more valuable. Our process is as unique as your jewellery item. At The Luxury Hut, we always aim to provide our customers with the most accurate value and secure your item for the right amount. So, all we ask that you fill up our online form now and get an initial valuation in less than no time or call on 0207 242 5411 to get in touch with one of our experts. The Luxury Hut guarantees the security, privacy and safety of your valuables. 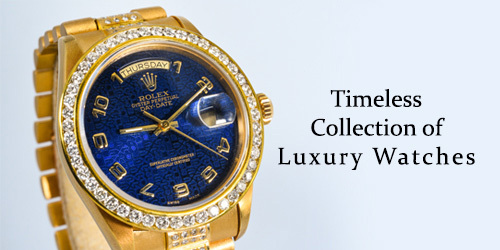 The team of experts at The Luxury Hut can help you secure the highest possible value when selling jewellery. Our appraisers of fine jewellery are always available to advise you on your jewellery item. We can even provide a free valuation on any second-hand jewellery which you are interested in selling. The possible cash value will depend on the age, condition and the current market value of the jewellery piece. Selling jewellery can be a great idea to bring in instant cash. 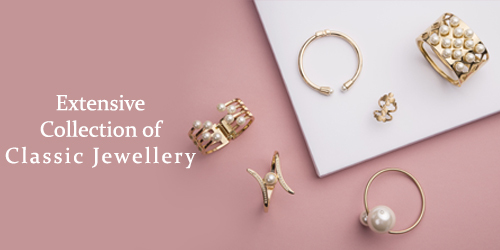 Thus, if you are looking for the best place to ‘sell jewellery London‘, ‘sell jewellery near me‘ or ‘sell jewellery online UK’, contact The Luxury Hut right now.